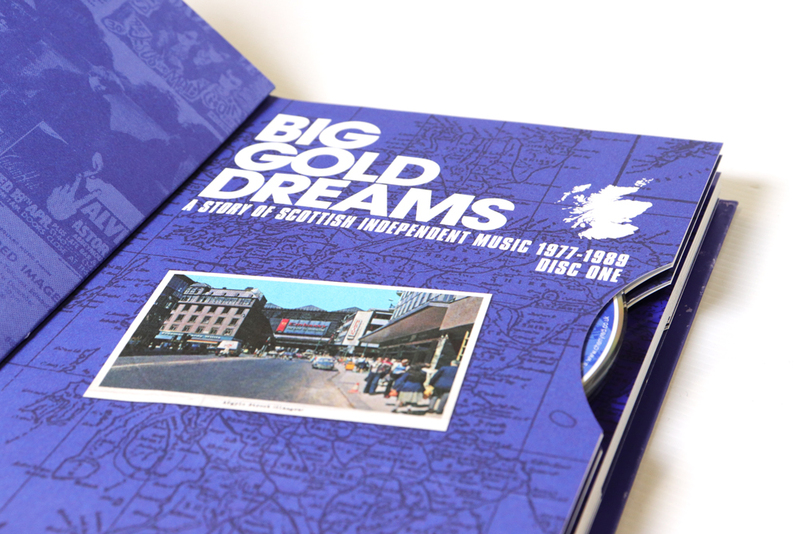 BIG GOLD DREAMS documents the vibrant independent music scene to emerge in Scotland across the late 70s and 80s. Initially ignited by punk, labels sprang up in Glasgow, Edinburgh and elsewhere to give a voice to the explosion of new acts across the country. 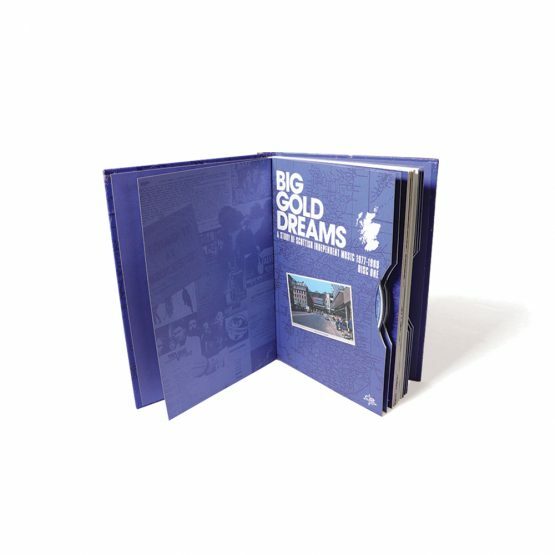 Named after Fire Engines’ memorable single and Grant McPhee’s recent TV and DVD documentary, BIG GOLD DREAMS includes many of the Scottish music scene’s most important names as well as countless obscurities. Includes landmark tracks by The Rezillos, Simple Minds, Altered Images, Skids, The Jesus And Mary Chain, Primal Scream, The Bluebells, The Waterboys, Cocteau Twins, Aztec Camera, The Soup Dragons, The Associates, Scars, Strawberry Switchblade, Josef K, BMX Bandits, Edwyn Collins, Del Amitri, The Vaselines, The Shamen, Goodbye Mr. Mackenzie and many others. 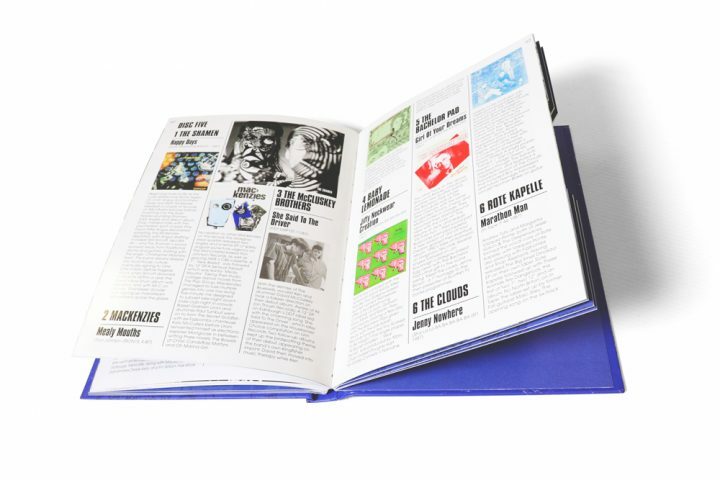 Boasts lengthy essays and band histories by Grant McPhee, Neil Cooper and Tim Barr, within a lavishly illustrated 70-page booklet. Created by the same Cherry Red team behind such previous box sets as Scared To Get Happy, Still In A Dream, Action Time Vision, To The Outside Of Everything, Manchester North Of England, Revolutionary Spirit, etc. 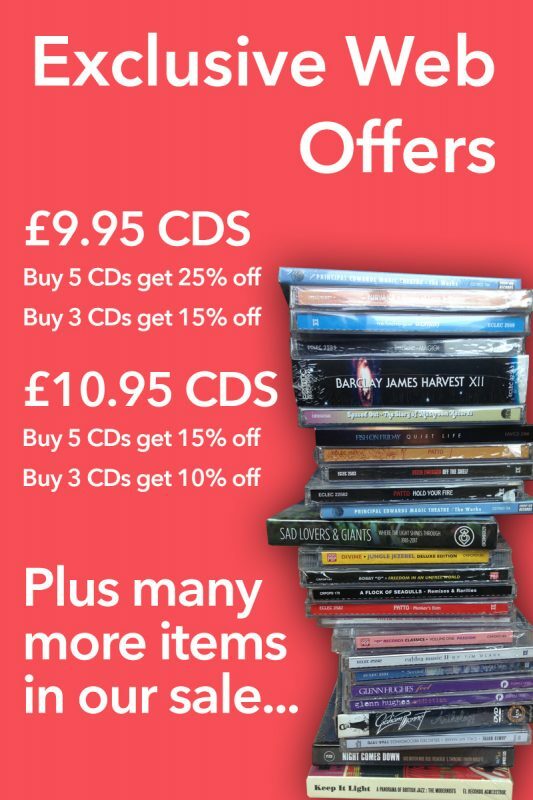 Includes recordings from key labels such as Zoom, Postcard, 53rd & 3rd, Rational, Fast Product/Pop:Aural, Supreme International Editions, Creation, Egg, Sarah, etc. Pre-fame 45s by Johnny & The Self Abusers (later Simple Minds), Another Pretty Face (pre-The Waterboys), Fun 4 (pre-Orange Juice), as well as P.V.C.2 (post- Slik, featuring Midge Ure). 11. THERE MUST BE A BETTER LIFE - Biff Bang Pow! 13. THE GREAT DIVIDE - This Poison!